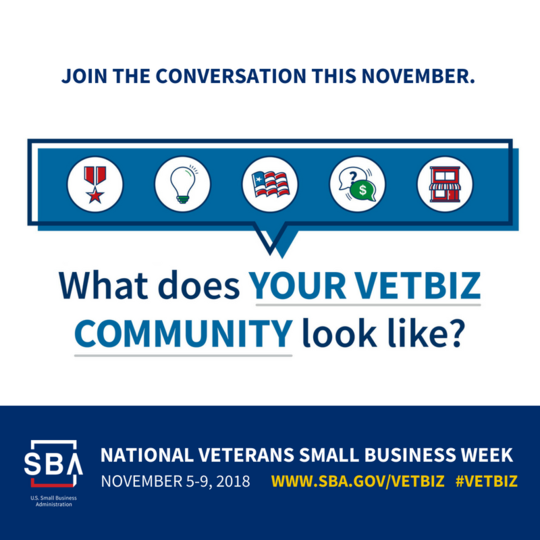 LOCATION AND DATE CHANGE: Join Us at a November 5th workshop as part of the celebration of National Veterans Small Business Week! This program is for new and existing veteran-owned businesses. It will provide you with useful information to help your business start and thrive. Learn about financing options for your business and Small Business Administration backed loans. Position your business to sell products and services to Federal and State government agencies. Attendees will also be able to network with each other and with participating lenders, counselors, and resource partners.